HP black inkjet print cartridges ensure that your documents make a lasting impression. HP's uniquely formulated inks and print head electronics are your guarantee of precision performance with your HP printer. 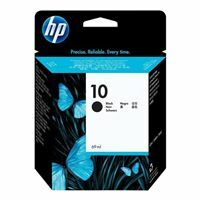 A snap to install, HP inkjet print cartridges offer water-resistant system-specific ink for unmatched reliability and clog-free, trouble-free printing.